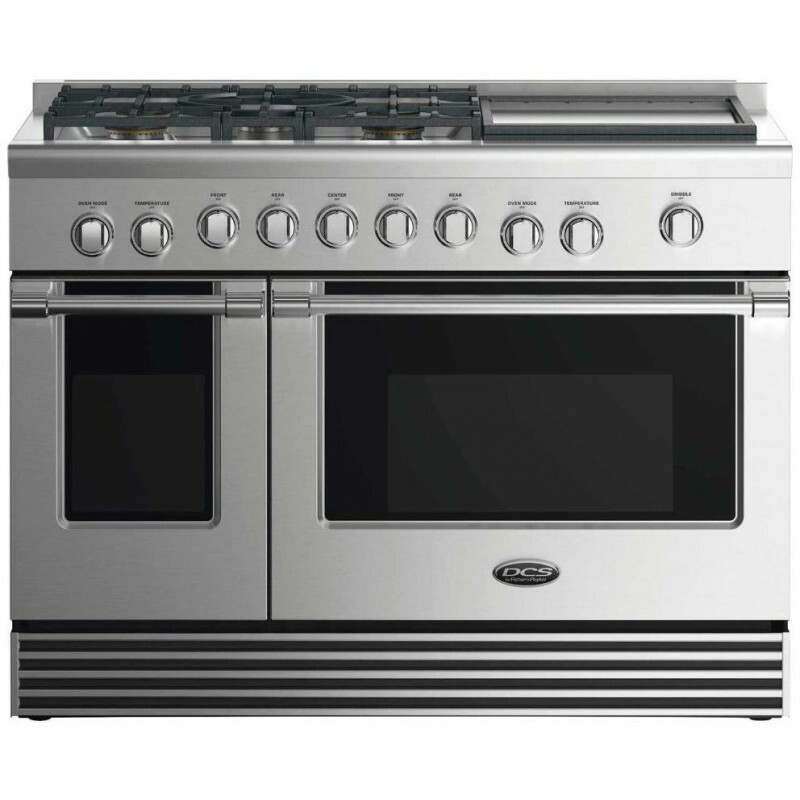 DCS RDV2485GDN 48 Inch Freestanding Dual Fuel Range with Sealed Cooktop, Griddle, Double Ovens In Stainless Steel. Perfect HeatSealed Dual Flow Burners™ deliver cooktop power up to 23,500 BTU (NG models) for seriously fast boiling right down to a precise 140°F full surface simmer with the gentlest of flames. 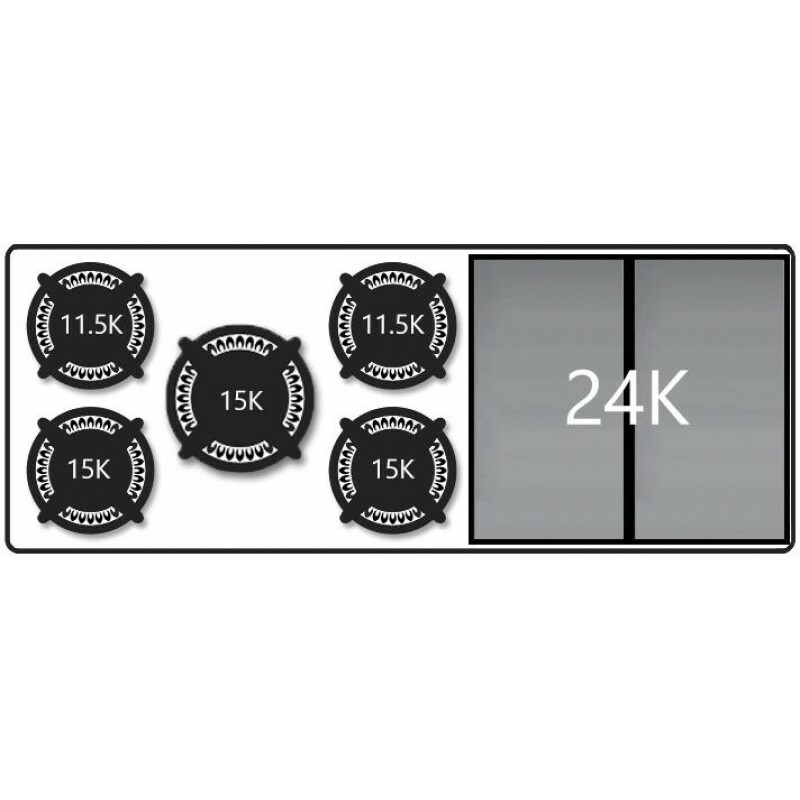 The true convection system uses both the fan and heat element together to heat up quickly and actively distribute even temperatures throughout the oven. Cooking FlexibilityDelivering 12% more usable space than models with exposed bake elements, and a full extension telescopic racking system, this oven is large enough to hold full size baking sheets or a 20lb turkey. 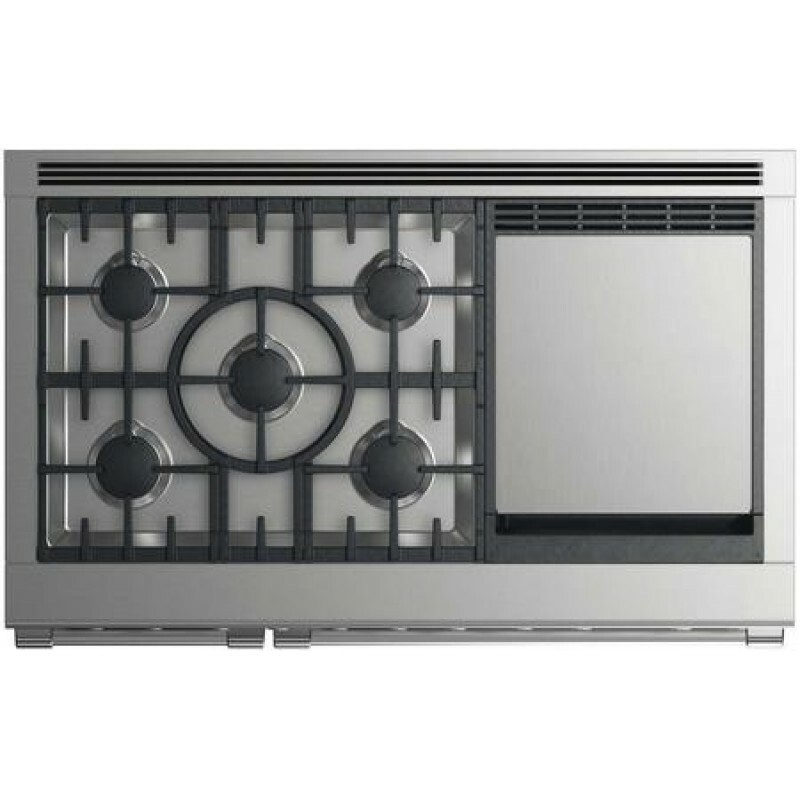 The cooktops unique grate design and high powered burners puts the flame where you need it and lets you boil faster or simmer gently anywhere on the cooktop. Total ControlFrom the highest to the lowest temperature settings you get precise control with the halo-illuminated cooktop dials. 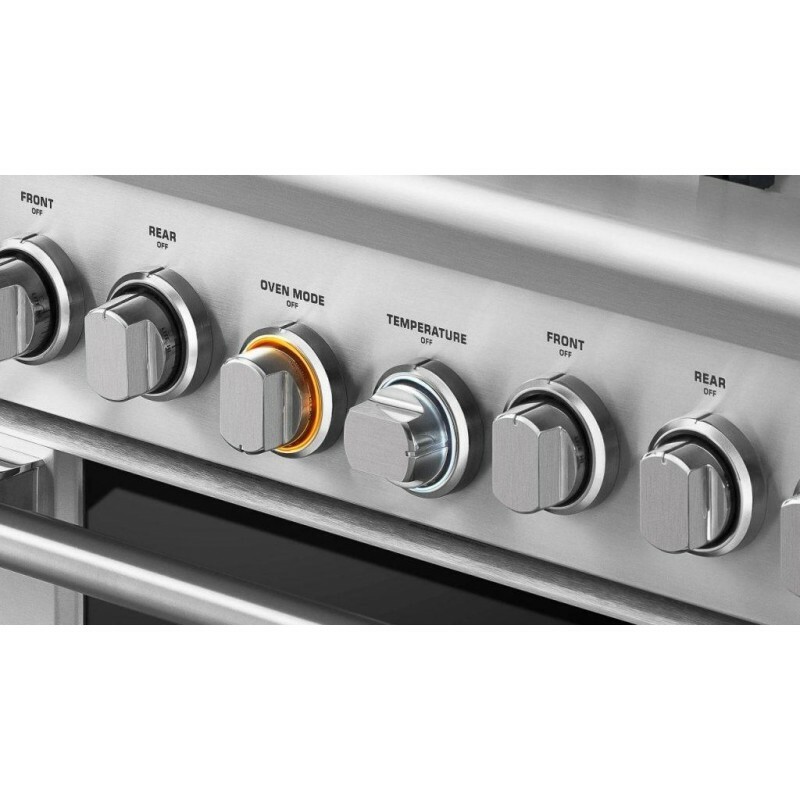 DCS Range ovens have True Convection and electronic oven control for precise and consistent oven temperatures delivering superior performance. Consistent BroilingThe DCS Dual Fuel Range broiler provides an even heat that covers a very large surface area — perfect for browning a fully loaded oven tray. Easy to CleanA continuous sealed cooktop surface and a pyrolytic self-cleaning oven with removable side racks allow easy cleaning. Information at a GlanceLED halo control dials for information at a glance. White – heating up; orange – temperature is reached; red – self-cleaning mode. GriddleThe griddle plate allows you to cook several foods at one time without the need for pots and pans. Heavyweight stainless steel griddles can be set to desired temperatures and then maintained evenly across the entire griddle surface with temperatures ranging from low to a high of 450ºF.